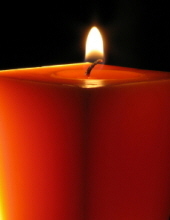 Kenneth Harrigan, 68, of St. Thomas, died March 22, 2019. Pending arrangements are under the care of Dan Hurley Home for Funerals and Cremation Centers of St. Thomas, St. John and St. Croix. To plant a tree in memory of Kenneth Harrigan, please visit our Tribute Store. "Email Address" would like to share the life celebration of Kenneth Harrigan. Click on the "link" to go to share a favorite memory or leave a condolence message for the family.